No single country could observe the Sun and interplanetary medium for 24 hours a day, that is why understanding and predicting space weather needs international cooperation. “No single country can afford the very expensive satellites and instruments that can monitor the entire Sun or the entire space around the Earth simultaneously and you never know where latest theoretical breakthroughs will occur,” Judith T Kerpen, In-charge of Space Weather Lab, Goddard Space Flight Centre, NASA, said here. Indian and US space agencies recently signed a MoU that will make collaborating and exchanging important information and building space missions much easier. 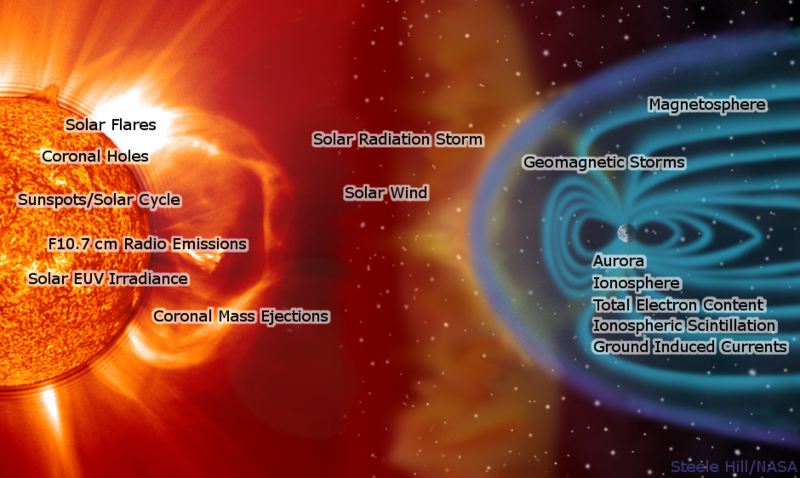 “Space Weather starts at the Sun, but travels with and through the thin gases between the planets interacting magnetic fields and particles, waves. It can be very violent, in the case of solar eruptions, or more quiet, in the case of the emissions from the non-erupting Sun,” Kerpen said. Addressing scientists at Radio Astronomy Centre (RAC), Judith expressed pleasure that the Indian and US space agencies are finally collaborating. The Radio Astronomy Centre is part of the National Centre for Radio Astrophysics (NCRA) of the Tata Institute of Fundamental Research which is funded by the Government of India through the Department of Atomic Energy. India has quite impressive history of accomplishments in space research, with strong government support and there were many places where fundamental research in space weather was carried out, Kerpen said. “To understand the causes and consequences fully, we need more observations, theory, and modeling and this is where India is playing a critical role, and where you young people can help”.